Last night the results of the 10 Aussie Books to Read Before You Die search by the ABC were revealed. 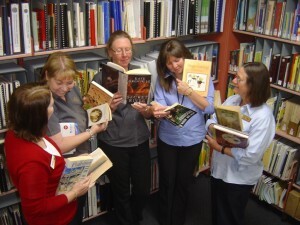 The possible outcome had been the subject of much discussion by Library staff during this, the National Year of Reading. At our regular staff meeting today we poured over the list of winners and counted how many of the top 10 each of us had read. Don’t miss tonight’s episode of Jennifer Byrne Presents. For this fascinating dissection of contemporary crime fiction Jennifer is joined by an sensational panel of crime writers, Jo Nesbø, Michael Robotham, Malla Nunn and Leigh Redhead. If you love crime fiction and literature that delves into the dark places of the human condition, you can’t miss it!